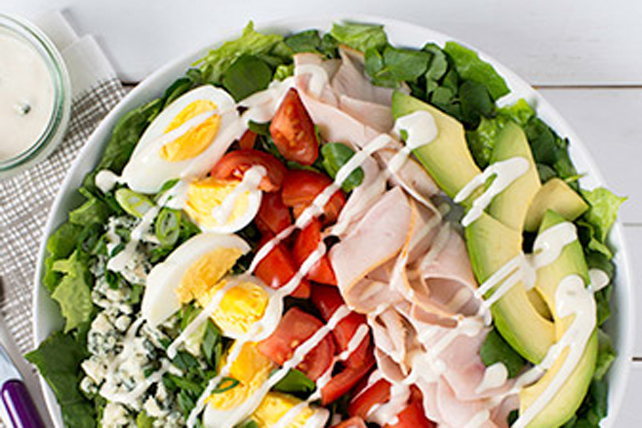 This colourful salad is as pleasing to the eye as it is to your palate. Toss lettuce with watercress and onions; place on platter. Prepare using thinly sliced smoked chicken.